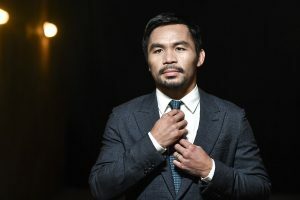 Senator MANNY “Pacman” PACQUIAO, boxing’s only eight-division world champion, announced today that he has entered into an exclusive agreement to work with manager / advisor Al Haymon.The new alliance will have team Pacquiao and Haymon work together to navigate the remainder of his illustrious career. Pacquiao’s first defense of the World Boxing Association welterweight world title will kick off the new partnership and will have Pacquiao appear on the Premier Boxing Champions series. Pacquiao’s promotion company, MP Promotions, will promote all of his upcoming bouts under this new alignment with Haymon. Just a few short years ago it all might have seemed so absurd. Time has a way of changing things, though, and now what once may have been nearly unthinkable appears to be a real possibility. For Manny Pacquiao is reportedly teaming up with Al Haymon. Not just teaming up with the mysterious boxing guru, but signing with the man. Nothing is official yet, but numerous outlets are claiming the Filipino icon is onboard with the individual Floyd Mayweather himself credits as being a powerful advisor. 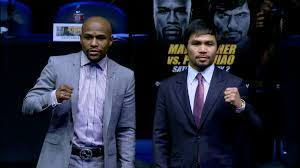 It was Haymon who was by Mayweather’s side during negotiations for his 2015 superbout with Pacquiao, just as it is Haymon who helms the PBC, with its lucrative and notable collection of star fighters. 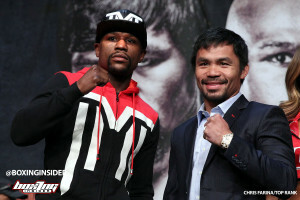 What’s obvious is that, if the reports are true, Pacquiao is clearly on his way to a rematch with Floyd Mayweather. The first bout between the two men was widely viewed as a dud, though it broke financial records. A rematch wouldn’t be nearly as lucrative, but it would still attract vast amounts of eyeballs while bringing down vast sums of money. Needless to say, the internet is completely abuzz. Some are claiming that Pacquiao will first face the notorious Adrien Broner before having a rematch with Mayweather. That would make sense, as Broner is also one of Haymon’s fighters. One thing is certain about the reclusive Haymon – he situates the top fighters he advises to earn vast sums of money. Pacquiao, famously generous and in trouble with the IRS here in the states, has a reputation of always being in need of massive paychecks. If the rumors are true, he may well have found just the ticket to make those financial dreams a reality. There is great irony to the entire situation, as Pacquiao was long associated with longtime Haymon rival, Top Rank Promotions honcho Bob Arum. Boxing Insider will be sure to keep reader abreast of this developing story. 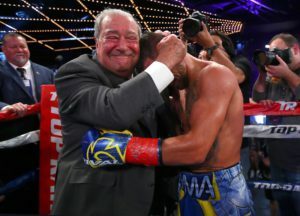 Boxing Insider was able to catch up and talk boxing with the “Bobfather” Bob Arum CEO of Top Rank to discuss numerous topics surrounding the boxing world. In this sit down interview, Arum gives his thoughts on the disappointing Heavyweight unification bout between Joshua vs Parker, Pacquiao’s contract status with Top Rank, how he plans to do business with Al Haymon fighters, he also gives more details about the new ESPN plus app and so much more. BR: I wanted to get your thoughts on the heavyweight unification matchup between Joshua and Parker were you surprised it wasn’t as explosive? BR: When it comes to Joshua’s performance, did that change your opinion of what will happen between a potential Joshua/Wilder fight? BR: I wanted to talk about Manny Pacquiao’s next fight Bob, it’s been finalized for July 14th in Malaysia. What was the difference between this fight getting finalized? In the past Pacquiao tried to make fights outside of the United States. BR: So they were able to show the money? BR: Michael Koncz, Pacquiao’s advisor he made some statements to the press recently that he didn’t want to comment on Pacquiao’s status with Top Rank. Would you be able to provide some comments on Pacquiao’s status with Top Rank? BA: “Well we have a very very good relationship with Manny. We can talk contracts from today till tomorrow but that seems like its controversial. There isn’t (controversy) for example in this fight. We’re not putting up the money, Manny got the money himself from Malaysia. Our role is to distribute the television, particularly in the United States, Canada, Puerto Rico, and we’re happy with that. BR: If Pacquiao defeats Matthysse Bob,would a Pacquiao/Lomachenko fight take place in the United States? BR: Bob you’re going to be traveling to Japan tomorrow to watch your fighter Murata. If he wins is there any real possibility of him fighting GGG at the Tokyo Dome this year? BR: In your opinion does that fight (Canelo/GGG 2) get rescheduled? BR: Bob I wanted to get your comments about this. You recently revealed to the press not too long ago that Al Haymon fighters are practically free agents and promoters can approach them. Where are you in that situation? Are you close to signing any high-profile Haymon Fighters? BA: “Your talking signing, we’re talking about using them on a fight by fight basis. Maybe we will sign them. We have an obligation to ESPN to put the best fights on the network and now on the ESPN Plus and to make the best fights. We have to go to other promoters to get their talent and place them with guys under contract with us. Certainly we will use Al’s fighters just the way we use Oscar’s fighters. BR: Let’s talk a little bit about Horn/Crawford it has been rescheduled. I’m really looking forward to this fight Bob what do your matchmakers tell you about this fight? Do they tell you that Horn can beat Crawford? BR: Could you give me some of your thoughts about Horn’s team comments? They don’t believe Crawford suffered an injury and they’re frustrated that the date couldn’t be changed. BA: “Fighters who are training or are getting ready to train, when a fight is postponed because of an injury to the other guy, always feel that they’re being taken advantage of and say ‘I’m feeling great, I’m in good shape why is not this fight not happening?’ And they then take that and accuse the opponent of shaming an injury. Well I’ll tell you that it’s absolutely ridiculous, at least in Crawford’s case. We know exactly when it happened, that he was sparring and how it happened. BR: Lets talk a little bit about Lomachenko/Linares, how are tickets going for that event? BR: Can Lomachenko NoMasChenko Linares? BA: “That remains to be seen. Linares I’ve always watched him because Mr. Honda my friend from Japan of Teiken Promotions has been the guy to develop Linares and co-promoted him with Golden Boy. So I’ve known Linares for years and I’ve always admired his ability, he’s a terrific fighter, he’s very experienced, and he’s much bigger than Loma, so it will be a real test. BR: What’s next for Jose Ramirez? BR: I wanted to talk a little bit about your light heavyweight Oleksandr “The Nail” Gvozdyk he’s in line to fight Stevenson Vs Jack winner what’s the better matchup for the nail? BR: Who wins Stevenson vs Jack? BR: Can you talk a little bit about the ESPN Plus app it’s about to drop on April 12th how did this come about? BR: With this new app in place will fights still be aired, televised on the regular ESPN channel? BR: Is there anything else you like to add Bob? Floyd Mayweather vs. Conor McGregor: A Boxing Match or a Circus? August 26 is the suggested date for the proposed bout; although it may be a smokescreen for another Mayweather Promotions fight. Even if the event is to take place at a later date, the fight appears well to be on its way. Both Mayweather and McGregor have huge followings, are viewed as brash-talking, villainous entertainers and are the marquee stars of their respective sports. It’s easily argued McGregor followed the Mayweather path to success and will now capitalize earning his largest pay day to date fighting the “Money” man himself, Floyd Mayweather. Over the last year or so, each fighter strategically provided commentary and perspective on this proposed clash of pugilistic wits;injecting their insults and feverishly attempting to lure casual fans into forking over cash to witness this monstrosity of a mismatch. As fighters, Mayweather and McGregor possess enormous egos. It’s even amusing, listening to Mayweather suggest McGregor actually stands a chance in the boxing ring with him. “Only time McGregor has been defeated was when he was on the ground,” Mayweather said during the interview on Sirius XM. Excitement as in the build-up to the fight… absolutely.Excitement as of action inside the ring… ehh probably not. Mayweather and McGregor realize the amount of money they can make based on the perceptions of what can actually happen, even though in reality, this looks like a lopsided mismatch. As terrible as this match-up sounds on paper and will evidently translate to a poor aesthetic viewing once it manifests, the fighters and organizers of this spectacle are simply capitalizing on demand and perception. Mayweather hit the nail on the head regarding this contest. “The fans want this fight. 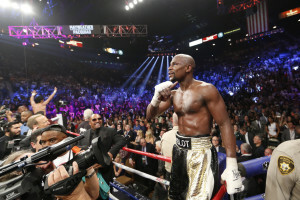 The fans have been asking for this fight,” Mayweather said. A fight featuring Mayweather and McGregor stands to potentially earn half a billion dollars; factoring in all of the marketing opportunities. This is a cash grab, a circus. This is a mere exhibition, a mere con, if we want to be mean. As viewers, even though this is a terrible match-up, we will undoubtedly watch. This will be like watching a slow, yet entertaining car-wreck. Leaving out the seriousness and fan boy-ism of this event may work wonders for the soul and may help ease our eyes as we witness the disaster. This is depicted as a tragedy because this event features a retired, 40-year-old boxing genius against an inexperienced, mixed martial arts world champion, inside the boxing ring. Frustration for this match-up is understandable, but the same frustration should be echoed if Manny Pacquiao is fighting Jeff Horn for the WBO welterweight championship. The same frustration should be expressed when lopsided mismatches take place in the UFC; Anderson Silva vs. Daniel Cormier (I know it was a substitution but still) or other countless mismatches headed by Dana White and company. The market can dictate what we, the spectator (fan, media) wants to see. Should we boycott Mayweather vs. McGregor as De La Hoya suggests? Oscar would have an argument if his interests were genuine. It wasn’t too long ago, he suggested a meeting of the red heads (Conor vs. Canelo[Alvarez]). “Imagine, Conor McGregor and Golden Boy coming together,” said De La Hoya about McGregor. The momentum and potential cash grab behind Mayweather and McGregor may be too large to overcome in regards to boycotting. Not to suggest boycotting is the move here. Everyone involved is entitled to earn their money how they see fit, just as we have the right to bypass the spectacle by not watching. But when the circus is in town, usually a crowd follows. Reigning WBC Light Heavyweight Champion Jean Pascal fought again in the familiar confines of the Bell Centre in Montreal, Canada as he defended his title against an opponent he had difficulty with before, Polish light heavyweight Andrzej Fonfara. The opening bout of the evening was between former lineal light heavyweight champion Jean Pascal (31-4-1) and the undefeated prospect Eleider Alvarez (22-0). Despite Pascal’s recent losses, he still remains a popular boxer in Canada. Alvarez, the taller fighter, took the center of the ring in the opening round and was sharp with his jab and the more aggressive boxer early. Pascal rallied late in the first round with some good shots to the body and may have stolen that round. Alvarez’s straight right hand forced Pascal to clinch in the second round and was able to land some hard uppercuts. His aggressiveness continued into the third round which featured a fierce exchange between both boxers as the round ended. Pascal was warned for punching after the break in the fourth round as Alvarez’s sharp jab was forcing Pascal to hold on often. Alvarez’s jab continued to be effective in the fifth, sixth, and seventh rounds and were noticeable effecting Jean Pascal. Pascal was able to land some good flurries in the eighth round including two right hooks to the temple and a double left hook. But Alvarez retook control in the ninth round and landed two head snapping right uppercuts that had Pascal hurt. Pascal may have stolen the tenth and eleventh rounds with late flurries near the end of the rounds, but in the final round Alvarez looked like the fresher fighter and was able to close out the bout strong. The final scores were 114-114, 117-111 and 116-112 for Eleider Alvarez. The main event of the night was between WBC Light Heavyweight Champion Adonis Stevenson (28-1) and Andrzej Fonfara (29-4). Fonfara started off aggressively and was coming at Stevenson with his jab, but his momentum was short lived. Stevenson landed his straight left and followed it up with a clubbing straight left that sent Fonfara down to the mat. Fonfara was able to get back to his feet, but Stevenson swarmed on Fonfara and landed several hard straight left hands that had Fonfara hurt. 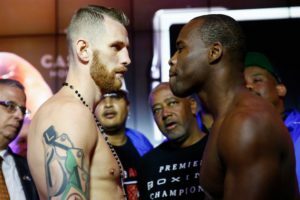 Stevenson was unloading on Fonfara by the corner as the opening round came to an end. Stevenson landed several hard straight left hands to open up the second round and he had Fonfara backing up and not throwing many punches back towards Stevenson’s way. Virgil Hunter then stepped on the apron to stop the fight before his boxer would take any additional damage. Adonis Stevenson destroys Andrzej Fonfara by TKO at 0:28 of the second round. Title in the main event of World Championship Boxing on Showtime. Former world champion Jean Pascal will be the lead fight of the undercard as he takes on undefeated contender Eleider Alvarez. Two other light heavyweight stalwarts, Sergey Kovalev and Andre Ward, will meet in a few weeks on HBO Pay Per View. It seems logical that the winner of Saturday’s Stevenson and Fonfara bout will likely face the winner of the pay per view bout between Kovalev and Ward, at least it should happen for boxing fans worldwide. Eleider Alvarez is an intriguing prospect with a successful amateur background that includes competing in the 2008 Summer Olympics. Pascal is an ex-champion that has faced some legends in the sport. He also had a successful amateur background and won the Canadian Amateur Championships seven times and competed in the 2004 Summer Olympics. Alvarez will have about an inch and a half height advantage as well as a three and a half inch reach advantage. They’re both nearing the end of their primes, with Pascal being thirty four years old and Alvarez being thirty three years old. Pascal has defeated the likes of Ricardo Ramallo, Yunieski Gonzalez, Lucian Bute, George Blades, Chad Dawson, and Adrian Diaconu. His losses have come to Carl Froch, Bernard Hopkins, and Sergey Kovalev twice. Alvarez opened up a lot of eyes with his knockout in his last bout against Lucian Bute. He has also defeated the likes of Robert Berridge, Isaac Chilemba, Ryno Liebenberg, and Edison Miranda. Alvarez has never tasted defeated. Both boxers have average power, Pascal has stopped eighteen of his opponents while Alvarez has stopped eleven of his opponents. Alvarez is an intriguing prospect, he’s undefeated with a deep amateur background but older than the age most people would consider someone to be a prospect. But his career trajectory is on the upswing, while Pascal’s appears to be on the downswing. For that reason this writer has to give the edge to Alvarez. This bout is a rematch of their bout in May of 2014 that saw Stevenson win a close and tightly contested decision. Since that bout Stevenson has gone on a tear, including winning three of his past four fights by stoppage. Fonfara was knocked out viciously and quickly by Joe Smith Jr., but was able to bounce back from that by defeating former world champion Chad Dawson. Both boxers had moderate success as an amateur. Stevenson won the Canadian National Championship in 2005 and 2006. Fonfara competed regularly on the European circuit. Neither boxer competed in the Olympics. Stevenson has considerable power and has stopped twenty three of his opponents. Fonfara has seventeen stoppage victories. Both boxers have at times been stopped. Stevenson was stopped by Darnell Boone while Fonfara was stopped twice. 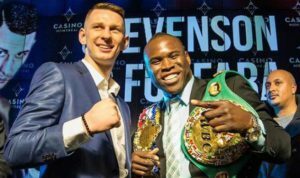 Stevenson has defeated the likes of Thomas Williams Jr., Tommy Karpency, Sakio Bika, Dmitry Sukhotskiy, Andrzej Fonfara, Tony Bellew, Tavoris Cloud, Chad Dawson, and Donovan George. Fonfara has defeated the likes of Chad Dawson, Nathan Cleverly, Julio Cesar Chavez Jr., Gabriel Campillo, Tommy Karpency and Glen Johnson. Stevenson started late as a professional but is currently thirty nine years old. Fonfara is ten years younger at the age of twenty nine. Stevenson will be giving up a three and a half inch height advantage. They have the same reach. Their first bout was close, but Fonfara is coming off a knockout loss. If this bout goes the distance Fonfara has a chance at winning as stamina favors him. But this writer believes Stevenson will walk away the victor and hopefully chase after the winner of Ward and Kovalev. Now that Adrien Broner and Mikey Garcia are set to fight at 140 lbs this summer, expect a whole ton of talk about whether or not Broner will rise to the occasion. I’ve no doubt I’ll be engaging in such talk myself. Broner is, if nothing else, a fascinating study: A tough, talented, colorful guy who essentially keeps stepping in it. Garcia, however, is fascinating in his own right. Of course, Garcia – unlike Broner – isn’t made of TMZ material. The guy’s a pro who goes about his life and business accordingly. In short, he’s Broner’s opposite. The truth is that people prefer Broner to Garcia, whether they want to admit it or not, because Broner makes what they used to call “good copy.” In short, he’s showy. Garcia, talented though he is, is only showy if by showy you mean productive, hard working and well thought out in one’s opinions – in other words, the sorts of things the general public seems to get bored with. No matter. Garcia is on the verge of entering boxing’s elite realm – a strange place that requires more than talent and impressive wins. And he’ll enter that realm if he beats Broner convincingly. The Californian has a high end skill set, coupled with explosive power. All he needs is a win against a big name opponent. And now that opponent has been lined up to face him. Broner is no joke, though, no matter how it seems that he himself has tried to be over the years. He’s a formidable foe who, for whatever reason, has plateaued in his ring ability. That ring ability, however, is impressive. Broner is fast, he can hit, and he’s tough. Really tough. The man can, as Timex once claimed, take a licking and keep on ticking. Garcia’s never met anyone like him. Should Broner be at his best when he enters the ring this July, Garcia will have quite the mountain to climb if he wants to emerge victorious. After spending years out of the sport, though, Garcia is clearly confident and ready for the challenge. Due to contractual problems, the man went over two years without a single fight. Since returning last July, however, Garcia has completely destroyed the competition, knocking out Elio Rojas in five and then demolishing Dejan Zlaticanin in frightening fashion within three. Yet Broner is clearly the biggest name the man has faced. And, as all fight fans know, big names lead to other big names, if, of course, you win. That’s always as very big if. Mikey Garcia vs. Vasyl Lomachenko: Who You Got? This past Saturday’s masterful performance by Hi-Tech Vasyl Lomachenko satisfied the boxing world as a whole and left us wanting more. Left us thinking who is Lomachenko? Some go as far as to say he’s The Matrix and his self proclaimed Hi-Tech skills or as he would say in other words, Lomachenko Style. A style confusing not just his rivals but the masses who have witnessed it and leaving expert perplexed as to who this phenom is comparable with and who out there can compete with the Hi-Tech inside the ring. “We can talk as much as we want but like I said in the end he has to talk to Bob Arum who’s his boss and talk to me. I already told everybody else I’m my own boss I can talk to Bob, bosses talk to each other. He can say all he wants but he’s got to talk to his boss first” Mikey Garcia now his own boss after a nasty 2 year court battle with Top Rank promotions and president, owner Bob Arum. Mikey proud of standing up for his rights as a athletes and let’s it known every time he gets a chance and in this case even pulls rank on 2 division champ Vasyl Lomachenko. A fight that Mikey Garcia’s father hopes will take place in 2 more fights for Mikey being that he wants that 2 year layoff completely dusted off of any ring rust that’s if any ring rust Mikey has which has not been seen in his 2 past fights since the layoff even producing what many think is the knockout of the year with Dejan Zlaticanin who many thought was the best 135lbs at that time. Mikey disposed of him in 3 rounds leaving him unconscious for a few minutes. 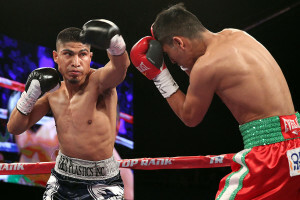 Mikey Garcia holds all the cards at this point of his career by being his own “boss” and having options from Vasyl Lomachenko to Terry Flanagan and Jorge Linares all possible fights along with other names like IBF champion Robert Easter Jr. who called out Mikey after his last outing. Mikey being in control of his career promises all his fans and supporters along with his biggest critics as well that the best is yet to come. Assuring this half of his career will be the better part. Follow www.BoxingInsider.com as we bring you the latest in converge and breaking news in boxing. ​Lamont Peterson is a former IBF and WBA Jr. Welterweight World Champion. 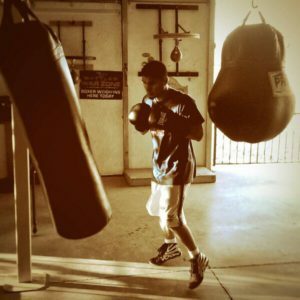 He has been in the ring with the likes of Tim Bradley Jr., Victor Ortiz, Amir Khan, and Danny Garcia. Peterson has recently moved up to the Welterweight division and just recently on February 18th, won the WBA regular world title by outpointing David Avanesyan. This win puts Peterson in a very good position for a big fight this year, especially after this weekend’s unification between Danny Garcia and Keith Thurman. We were able to speak with the champ a little about moving up in weight, his future in the sport and the possibility of him fighting his longtime friend Adrien Broner. 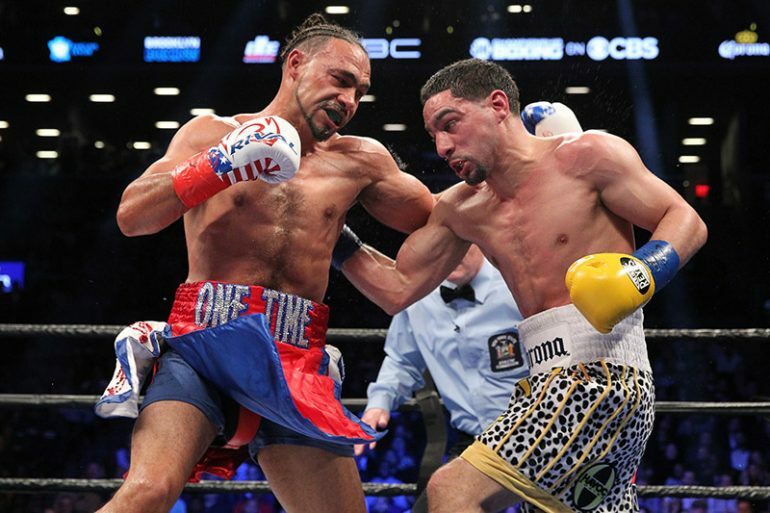 Boxing Insider: You lost in 2015, in a very controversial decision against Danny Garcia. Since then you have moved up in weight and have fought a couple guys who are not as big of names as you were fighting. What has changed in that time? 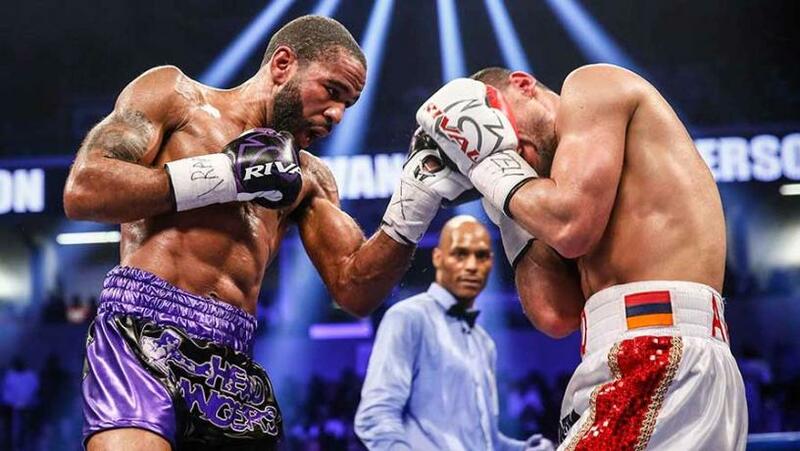 Lamont Peterson: Nothing really, that’s just the business of boxing. Things just turned out that way. I don’t think it was any particular reason. I had opportunities to fight in bigger fights, but things just didn’t always work out. Boxing Insider: So was it more of a promotional problem? Lamont Peterson: Unfortunately with certain situations, just sometimes it’s just the way it is. It could be a problem with the promotion side or training or anything. Management, sometimes doesn’t work out. Sometimes certain guys just choose to fight other guys. Boxing Insider: How is the higher weight working? How do you feel fighting at the higher weight? Lamont Peterson: I like fighting at the higher weight. That extra seven pounds helps because of energy, strength and I can focus more throughout the training camp, without having to put extra time into making weight. Boxing Insider: Does the endurance keep up at 147? Lamont Peterson: Oh yeah, I feel like my endurance is actually better. Especially trying to get down to 140, I was experiencing body cramps. Boxing Insider: You said recently that you would never fight Adrien Broner. You two are very close friends, but you are not related by blood and it’s a fight that fans may really want to see, since you both moved up to 147. Could it ever change, and you two may fight? Lamont Peterson: What I said was, it is highly unlikely, is basically what I’m saying. Boxing is a business and if it makes sense, other than my brother (Anthony), damn right I’ll fight him. At the same time, I just don’t see it happening. Boxing Insider: You’ve been with Premier Boxing Champions and Al Haymon since its beginning. What are your thoughts of its impact to the boxing world so far? Lamont Peterson: I think it’s doing a good job at the things that PBC was setting out for. I think it is still heading in the right direction, I don’t think it’s over. It is definitely bringing more boxing fans and an audience from people that normally wouldn’t be watching boxing. I think it’s doing a great job and will probably do a better job in the future. I’m just happy to be a part of it and anything I can do to improve it, I will try. Boxing Insider: You’ve won a world championship. You are 33 years old. What are your future goals right now? Lamont Peterson: Just to compete at the highest level. Not too worried about fighting for titles, but just fighting the best competition at the Welterweight division. I’ll be happy with that. I’m not going to be a name chaser. I just love to fight, and regardless of who I’m fighting, I want to be at the top level. I’ll be happy with that. I see myself fighting for about six more fights and I’ll be done and happy with my career. Boxing Insider: A lot of PBC fighters will be at the Garcia v. Thurman match this Saturday. Will you be in attendance and would you like the winner of that fight? Lamont Peterson: Of course I would like the winner of that fight. The winner leaves undefeated and a lot of people will say they are the top guy at welterweight. I would definitely like a crack at that title, being the top guy at welterweight. 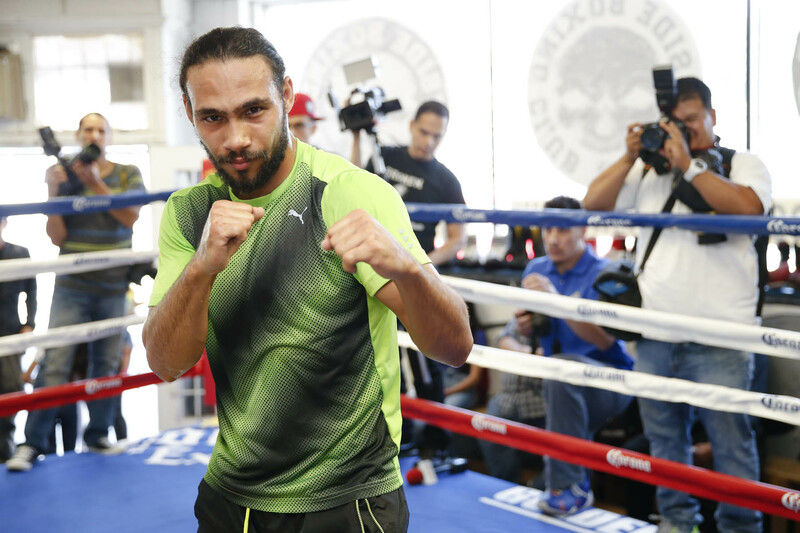 Boxing Insider: And finally, who do you have winning the fight between Garcia and Thurman? Lamont Peterson: It’s still a hard pick. I go back and forth. I can see both guys winning. If they stick to their own game plans. Whoever is better prepared that night, mentally and physically will win the fight. I do see it as a 50/50 fight. 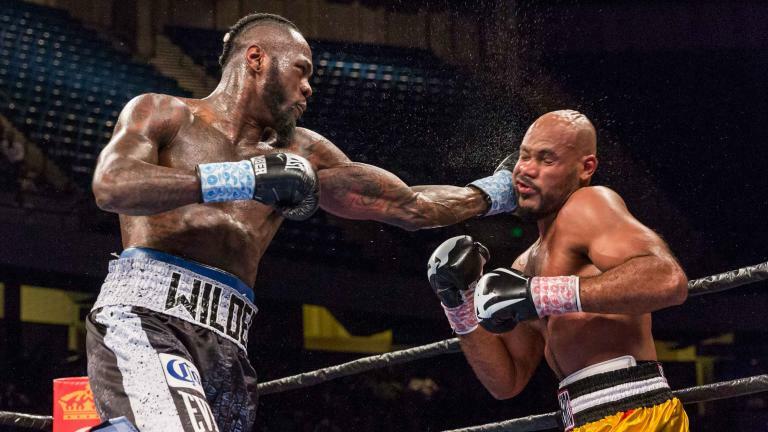 Deontay Wilder (38-0, 37KO) retained his WBC heavyweight title last Saturday night with a brutal 5th round KO over Gerald Washington in his hometown of Birmingham. But the unbeaten American’s lacklustre performance has left plenty to talk about. Wilder looked sluggish for large parts of the fight until he found the opening in the fifth. Was it just signs of ring rust? After all the American had just come back from a 244 day layoff. Or are we beginning to see frailties in the ‘Bronze Bomber’? First of all, Wilder deserves credit, he got the job done, and in spectacular style when the knockout did eventually come. This after the champ looked rusty and largely pedestrian like for the first 4 rounds, although he was ahead on one judge’s scorecard. But the opening came in the 5th and when it did he capitalised with devastating effect. But once again questions have been asked about Wilder, and accusations that his style and approach to fights has drastically become more negative, were ever more apparent on Saturday. In his last four bouts previous to Saturday, Wilder has been taken past the 7th round before eventually despatching his opponents. In doing so the American has approached fights a lot more cautiously, waiting for the perfect opening before striking the killing blow. In contrast, before the world title win against Stiverne, Wilder had never been past the 4th. Perhaps the fearsome American has woken up to the fact that against world class opposition, his wild and juggernaut style approach that has made him so feared, would leave him open to big shots against the likes of Anthony Joshua, Tyson Fury, Joseph Parker etc. Instead, a more patient approach, all be it less exciting allows him to gradually wear down fighters. Keeping a tight guard and his opponent at range until he finds the gap he needs to produce his devastating finisher. Or maybe he is starting to show limitations. Never the less there is one constant reoccurring theme, he gets the job done. But his performances will always be compared to that of his British rival Anthony Joshua. And perhaps this is the root of the criticism aimed at Wilder. Joshua has looked nothing short of stunning in all 18 of his career bouts, all be it against lesser opposition. The glaring difference is that the Brit does not just provide the devastating finish, he dominates his opponents. Not only has Joshua never lost a fight, it is difficult to recall him ever losing a round. He is not just a monstrous puncher, he is an exceptional boxer with sizzling hand speed for a heavyweight. Combine that with excellent movement and shot selection he is, without a doubt, a more complete fighter than his American rival. When the two inevitably meet, how will Wilder be able to cope with Joshua forcing him back and putting him under immense pressure? It’s difficult to see Wilder out-boxing the IBF champion. In the meantime, Joshua faces his biggest test in April against former heavyweight king Wladimir Klitschko. Wilder no doubt will be watching with interest and should Joshua come through that test, the long-awaited clash with the ‘Bronze Bomber’ may well be set for later on in the year. As for the present, Saturday’s performance would not have struck fear into the other heavyweight contenders. Nevertheless they would have been reminded of the freighting power that Deontay Wilder has in abundance.